A brief technical supplement in support of our proposed new unit, the grrm. 1 degree of deflection under the weight of a full shelf of ASOIAF (books 1-4) over a given amount of time. Standard constants for weight and time are given below. 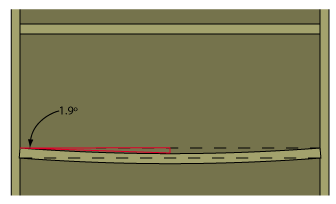 This angle is measured between the nadir of the bowed shelf and a horizontal line perpendicular to the sides that represents where the shelf would be if it were not warped. Note that this is not just the distance that the middle of the shelf has dropped, so a 1cm drop will represent a smaller angle for a 1m wide shelf than one that is only .6m. This helps represent the fact that a longer shelf is more difficult to keep flat, and if it only deflects the same amount as a short shelf it is probably of higher quality than the shorter one. These values yield an average density of 223 grams per linear centimeter, also known as the golden grrm. When establishing the grrm rating of a shelf, this weight should be evenly distributed across the entire length of the shelf in question. 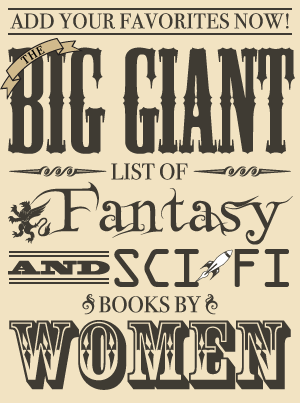 Again, please note that these numbers are preliminary and will be revised if and when George R. R. Martin measures and weighs the copies stored in his hermetically sealed, climate controlled vault. (If anybody knows him to ask him, please feel free to report back the results in the name of SCIENCE!) Upon the release of future books, the average will be updated and all shelves previously measured should be destroyed, replaced, and retested. This is, well, a year. Not to be all Euro-centric or anything, but we’re going with the 365.25 day calendar. Bowing is not likely to be a linear process, so ideally the first year should be used so results are comparable across tests. Otherwise, this is pretty much just a year. Testing using exact weights may be problematic. Anywhere outside of a NIST laboratory, occupying (some might say ‘wasting’, but that seems a bit judgmental) an entire shelf with standard weighting instruments just for the purpose of determining the quality of your shelf is likely to be impractical. 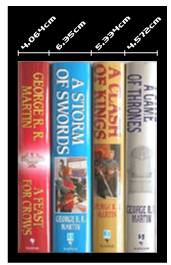 In deference to those who wish to test their shelf but do not have the space to sacrifice to proper methodology, this proposal suggests calculating a normalized grrm rating by comparing the actual weight and length figures to the standard constants defined by the grrm. There are a number of engineering problems with this procedure, but frankly, SCIENCE! is no fun if there’s not a home game. All we ask is that, when normalized grrm figures are presented publicly, they should be acknowledged as such and never compared to standard grrm ratings. Shelves in a bookshelf that are structurally different from other shelves in the same unit should be tested separately. This is most common with the top and bottom shelves, which often have better support than middle shelves. When a single grrm rating is reported for an entire bookshelf, it should be the result of testing on the middle shelves. Whenever a book is removed from a shelf that is undergoing testing, another book of identical weight should replace it. Empty spaces on shelves, even for books that are currently being read or as organizational space set aside for future books by an author or in a series, is not permitted during testing. The grrm is only applicable for long-term testing (thus the inclusion of the time component). Instantaneous destructive stress testing is covered by a related standard, the Erikson , but that is beyond the scope of this document. The first application of the grrm is in Kristen’s bookshelf review below.